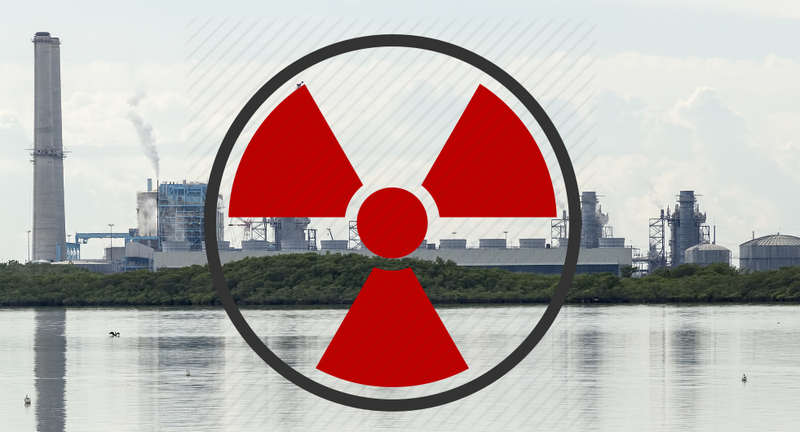 Back in 2011, an online article published at Miami New Times titled, “Five reasons Turkey Point could be the next nuclear disaster,” identified the Turkey Point facility as the country’s next most likely reactor to undergo a full-scale meltdown; one which would make Miami uninhabitable, virtually overnight. It is an article well worth reading to get up to date on the gravity of the situation there. Even if we assume the Turkey Point facility will pass through this year’s cooling crises without reaching the 104 degree temperature threshold for immediate shut down, the problem will not stop there. With increased canal temperatures linked to accumulating salinity and an inadequate water supply within its canal system, climate change, a storm surge from a hurricane or tidal wave associated with an off shore seismic event, a power outage generated by a class X solar flare, or simply sea level rise – any of these could theoretically permanently incapacitate the reactors main and diesel back-up cooling systems, leading to a meltdown. What will follow will be irreversible, devastating and beyond remediation. Even if we assume that the sort of eventuality described above will not take place in our lifetimes, or those of our children and grandchildren … even then, the Turkey Point facility, like all nuclear facilities around the world, is actively harming countless within the vicinity due to its routine release of highly carcinogenic radioisotopes. All nuclear reactors in the U.S. are federally-permitted to emit radioisotopes into the local environment, exposing the uninformed populations to highly toxic elements, some of which will stay within the human body for a lifetime. “When compared with baby teeth collected from 18 Florida counties, the highest levels of Sr-90 were found in the six southeast Florida counties closest to the Turkey Point and St. Lucie nuclear reactors: Miami-Dade, Broward, Palm Beach, Martin, St. Lucie and Indian River. The current rise of radiation levels in baby teeth in Florida and in the U.S. as a whole reverses a long-term downward trend in Sr-90 levels since the 1960s, after President Kennedy banned aboveground testing of nuclear weapons 1963, due to concerns about increasing childhood cancer and leukemia rates from fallout. Radioactive Sr-90 is a known carcinogen, which is only produced by fission reactions in nuclear weapons or reactors. It enters the body along with chemically similar calcium, and is stored in bone and teeth, where it can be measured years later using well-established laboratory techniques. Additionally, we recently published an article describing how routine releases of radioactive emissions that occur during plant refueling can generate up to 500 times higher releases within 12-hour periods than the industry and their regulators admit. If this occurs under normal operating conditions, we can only imagine what may happen during emergency situations where a reactor’s cooling system is destabilized, overheated and leaking steam. Clearly the situation at Turkey Point needs closer monitoring and reporting. Please share this article with others, including contacts in media in order to help spread the word.